“On this day seventeen years ago, communities and families were torn apart by an extreme act of violent hate. Today we remember the thousands of precious lives lost in the terrorist attack— parents, siblings, children, neighbors, and friends. We will not forget that they mattered, that they loved, and laughed and were striving to make the world a better place. “We also honor the heroism of the service men and women who spent their final hours doing everything within their power to protect and serve the needs of their fellow man and woman. In response to the worst of humanity, they showed the best of humanity. “The hate that tried to break America instead showed the rest of the world why America is strong. We came together as a nation like I had never seen before. Back home in Tyler, Texas, I remember joining hands with people from all ages, races, walks of life and backgrounds as we lifted our country up in prayer. On September 12 of 2001, there were no hyphenated Americans; we were just Americans and very proud of it. “Then, as today, we mourn the senseless act of terror that took so many lives. And while there is a group of Americans who are also now filled with hate and desires of anarchy, the vast majority of Americans love freedom, they love mercy, and they have hope for a better tomorrow. “My prayer is that we return to that sense of unity, that we remember the patriotism of those who gave their last full measure of devotion serving others. 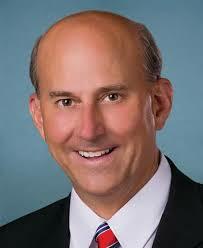 Congressman Gohmert is the Vice Chairman of the Natural Resources Committee and the Vice Chair of the Judiciary Subcommittee on Crime, Terrorism and Homeland Security. Prior to being elected to serve in Congress, he was elected to three terms as District Judge in Smith County, Texas and was appointed by then Texas Governor Rick Perry to complete a term as Chief Justice of the 12th Court of Appeals.